With all the buzz surrounding fat bikes, it is surprising that there aren’t more events focused on the sport. One Utah community, however, has jumped into the fat bike scene with two huge hairy feet…Sweaty Yeti feet that is. 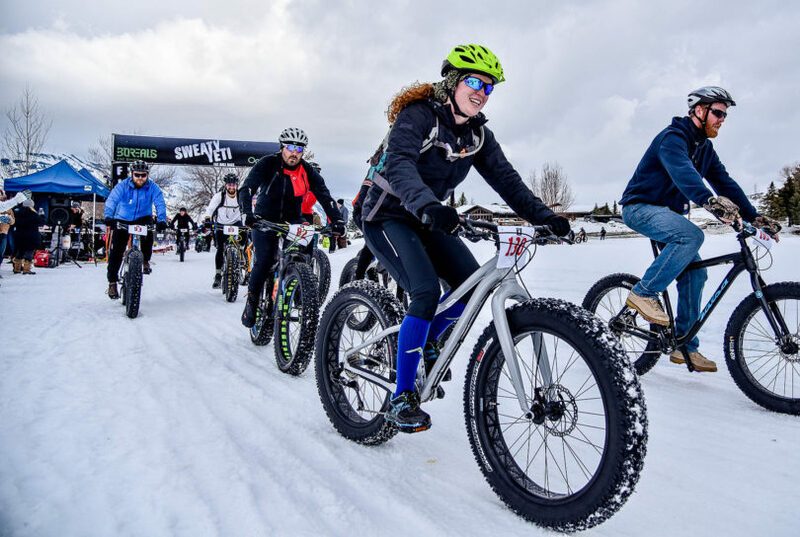 Visit Ogden just announced registration for the 2nd Annual Sweaty Yeti Fat Bike Race is now open. This year’s event takes place on Saturday, February 3, 2018 at Wolf Creek Resort, in Eden, and features pro, amateur, beginner, and youth races. The course winds its way around the flowy, challenging terrain of the Wolf Creek Resort Golf Course. UPDATE: Because of snow the event is moving the event to North Fork Park, South Gate Entrance. The race runs from 9am to 2 pm, with the Beginner & Junior Yeti (10K) starting at 9:30 am, the Amateur & High School Yeti (20k) starting at 10:30 am, and the Pro Yeti (30k) starting at 11:30 am. Go here for complete details. After the race, drop into the New World Distillery in Eden and grab a bottle of local crafted gin and tequila. If possible, grab a bottle of Rabbit and Grass Blanco tequilla and tell us how you like it. The Sweaty Yeti course design is spectator friendly with plenty of great spots to watch the action unfold. 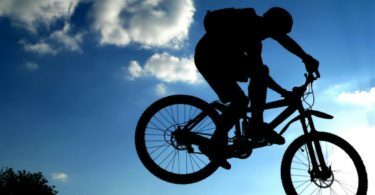 The event includes food trucks, beer stands, live music and free bike demos provided by Borealis and local bike shops. Spectators will also have an opportunity to win a Fat Bike. 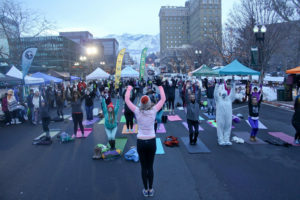 Downtown Ogden will be getting the stoke started on Friday evening before the race, with the Wasatch Yeti Bash. The Bash takes place at the Ogden Union Station on Friday, February 2 from 4-8 p.m. The Bash includes a winter arts market, fat bike demos, yeti yoga, live entertainment, beard competitions and costumed fun. Hot cocoa, s’mores and root beer floats will be served, and there are dozens of restaurants and bars within a three block radius of the Bash. We recommend registering on line, but you can also sign up at the Wasatch Yeti Bash, from 4-8 pm, or at the race venue starting at 8am. 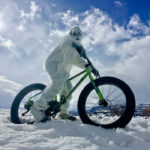 With Old Man Winter finally coughing up some snow, Utahn’s are getting psyched about fat bike riding. Sign up for our newsletter and/or like us on facebook, and we’ll do our best to keep you informed of all fat bike opportunities taking place this winter.